CeloNova BioSciences has secured approval from the US Food and Drug Administration (FDA) for its Cobra PzF nanocoated coronary stent system. The approval was based on results from the PzF Shield clinical study, which met its primary safety and effectiveness endpoints at nine-month follow-up. The trial showed no stent thrombosis and low clinically driven target lesion revascularization (TLR) of 4.6%. CeloNova developed Cobra PzF stent to improve coronary luminal diameter in patients, including those with diabetes mellitus. It can also be used to treat patients with symptomatic ischemic heart disease due to de novo lesions in native coronary arteries with reference vessel diameter (RVD) of 2.5-4.0mm and lesion length of ≤24mm. Cobra PzF stent, which is coated with an advanced nano-thin polymer, needs a minimum 30-day dual antiplatelet therapy (DAPT) regimen following intervention. The stent is said to integrate highly deliverable cobalt chromium platform design with an advanced Polyzene-F nano-thin polymer. In February 2016, CeloNova also started Cobra Reduce randomized controlled trial to further study the stent. The trial will assess whether the Cobra PzF stent can reduce bleeding compared against drug eluting stents. COBRA PzF NanoCoated Coronary stent secured CE mark approval in 2012 and Middle East in 2013. CeloNova Biosciences acting CEO and executive chairman Dennert Ware said: “Today’s FDA approval of the COBRA PzF Stent System marks a significant milestone for our company, as we bring a new category of stent with proven clinical promise to the US market. 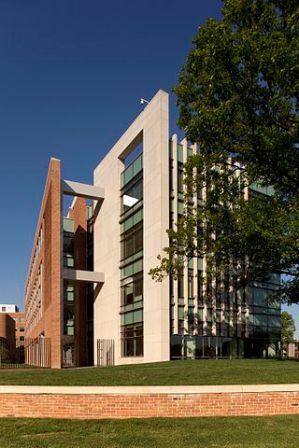 Image: The FDA campus in New Hampshire Ave., Silver Spring, Maryland. Photo: courtesy of The US Food and Drug Administration.